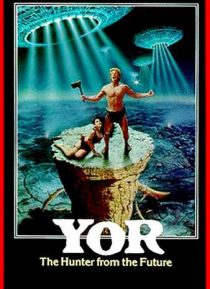 In a time where both the past and the future collide, Yor, a mighty warrior, seeks the secret of his identity. His only clue is a golden medallion around his neck which leads him to a beautiful priestess held prisoner in a forbidden city. Armed to the teeth, Yor sets off on a quest to save her, blasting all manners of terrifying creatures along the way.